Washington Governor Jay Inslee signed a bill into law yesterday that makes several positive changes to the state’s marijuana law. Included in Senate Bill 5131 is the legalization of sharing marijuana from one individual aged 21 and older to another individual also at least 21 years of age. Up to this point sharing marijuana – including passing a joint or bong – has remained a felony punishable by up to five years in prison, despite the fact that marijuana possession was legalized by voters in 2012. The new law also allows licensed producers of marijuana to legally sell marijuana seeds and plants to medical marijuana patients 18 and older, which are allowed to cultivate cannabis even though it remains illegal for personal use. 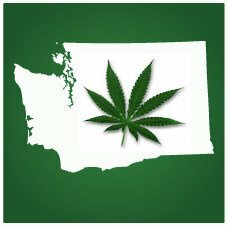 However, the new law also directs Washington’s Liquor and Cannabis Board to study the feasibility of allowing everyone 21 and older to grow marijuana. Senate Bill 5131 also creates an “organic” certification program through the Washington State Department of Agriculture, giving retail outlets the ability to receive a certificate if their products follows guidelines that allow it to be labelled organic. The full text of Senate Bill 5131 can be found by clicking here.